The AAPA Annual Convention and Expo is recognized as the premier gathering of the seaport industry. If your customer targets include seaports, marine terminal operators, integrators, suppliers and other industry stakeholders, exhibiting at the American Association of Port Authorities Annual Convention will provide you direct access to the top decision makers--port commissioners and senior level port professional, integrator, supplier, and other stakeholder staff from throughout the Western Hemisphere. We understand that in today's competitive economic climate, strategic and cost-effective marketing has never been more necessary. AAPA is here to guide you and insure your successful expo experience, from exhibit sales through to exhibit floor coordination. The Annual Convention and Expo is AAPA's largest membership meeting of the year. Held every fall in a different port city, the Convention includes technical and policy committee meetings, business sessions and social events allowing port professionals and stakeholders in the marine transportation industry to exchange views and expand business contacts. The Expo is an integral part of the convention program providing opportunities for networking and exchange of ideas. An early evening reception will be held in the exhibit hall on Tuesday, October 15. During the 2-day business program on October 15-16, 2019, breakfasts, breaks, and post-lunch desserts are all held in the AAPA Exhibit Hall. Exhibitors are invited to attend the Convention Business Program and the 10/13 and 10/14 evening events. To register, you must first Sign In below. If you do not have a logon, use the Find My Account form to search for your record. If your record is not found, you may Create an Account to continue with your booth registration. For logon assistance, contact Katie Miller, database manager, by email at kmiller@aapa-ports.org or by phone at (703) 706-4702. Click here for a list of previous annual convention exhibitors. Your Exhibitor Contract will be emailed to the person who is designated during registration. You will receive your booth number once payment and a signed contract have been received. Click here to preview the contract. 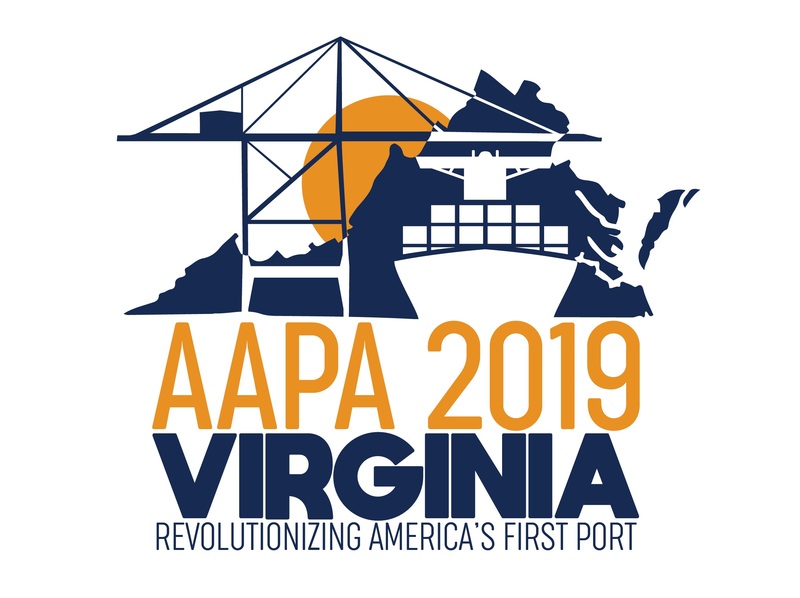 For questions regarding booth registration, contact Tom Hranac, assistant director membership services, by email at thranac@aapa-ports.org or by phone at (703) 706-4708. 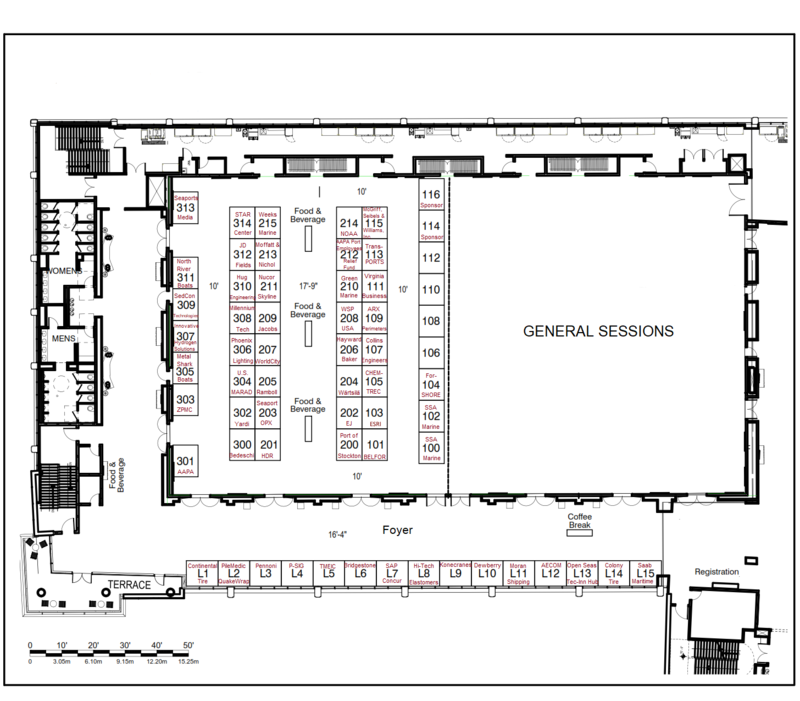 New this year: Fifteen premium booths (L1 - L15) placed in the foyer outside the exhibit hall are all available and come with an additional exhibitor badge. Exhibition booth staff badges which provide access to Exhibit Hall and Business Program as well as the 10/15 reception in the exhibit hall and the 10/13 and 10/14 evening events. Additional exhibitor badges may be purchased for $500 each. Note: tickets may be purchased for lunches and the 10/16 evening event not included in this exhibitor package. AAPA will give special "discount" codes for the attendee registration website to redeem your complimentary badges for your booth staff. AAPA's Exhibit Services firm, the global event team, is available to assist you should you require any help in your preparations, as well as on-site management. For assistance, contact Shonna Wells at info@globaleventteam.com or (800) 979-3229. Complimentary badges are provided with a booth purchase. Use this option to purchase additional badges.